$495.00 worth of FREE and discounted services! 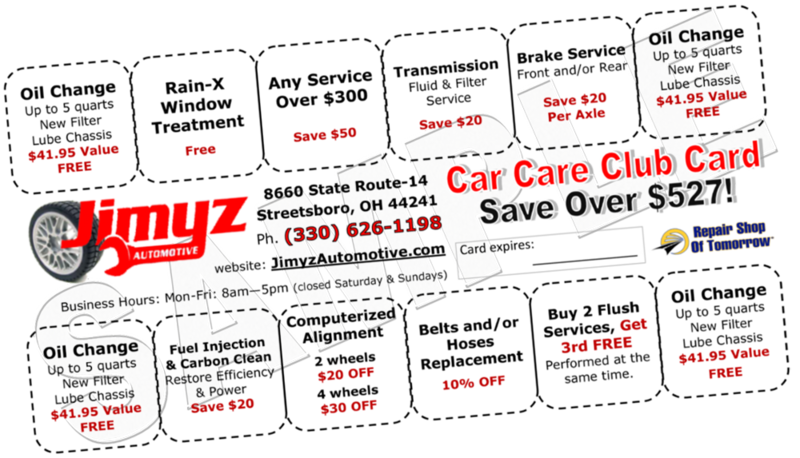 Here is what you get with your Car Care Club Membership! When you join our CAR CARE CLUB, you’ll get to enjoy hundreds of dollars in savings over the next 12 months to use when YOU need or want to. Think about it, FOUR FREE OIL CHANGES + All those other Repair Service discounts ... the Oil Changes ALONE are worth it. Share with any car or person in your household ... It Makes a Great Gift! For more info, visit our CAR CARE CLUB page, or Contact us for details!